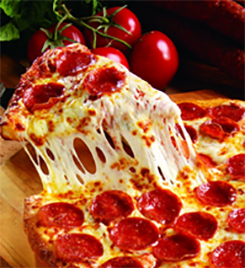 MORRISTOWN, TN – One of the nation’s favorite pizza brands, Marco’s Pizza, has opened a new location in Morristown. Situated at 4313 Winkler Ave, Ste. 1, locals can expect a Primo Italian pizza experience that uses the freshest, highest-quality ingredients. The new location opened its doors to the Morristown community on January 22. This Marco’s Pizza location is owned and operated by Knoxville resident, Brad Davis. Before getting into the pizza business, Davis spent eight years in medical sales as a representative before opening his first Marco’s Pizza in May 2014. Davis currently owns and operates seven Marco’s Pizzas in the Knoxville area, with the Morristown location being the eighth to open. Davis’ expansion plans include opening a total of 11 Marco’s Pizza restaurants over the next few years, with the next locations opening in Denver, NC and Waynesville, NC next year. As the only national pizza chain founded by a native Italian, Marco’s has made its name in the growing $47 billion pizza industry by producing fresh, authentic, handmade Italian quality pizza. Italian food is famous for its quality servings and Marco’s prides itself on crafting every pizza by using ingredients that are fresh. At a time when 91 percent of Americans eat pizza once a month, more people are increasingly choosing the quality pizza that’s synonymous with Marco’s name. Marco’s Pizza recently launched a new brand promise “Hello Primo” to reinforce its roots and ensure guests can discover “The Italian Way” that shaped the brand into what it is today. The founder, Pasquale “Pat” Giammarco, grew up making pizzas with his father after they immigrated to the United States from Sulmona, Italy. Fast forward several years later, he created Marco’s Pizza to capture the Italian spirit and flavors he was raised on. The menu at Marco’s Pizza in Morristown will feature a mix of classic pizzas and innovative specialty pizzas like the White Cheezy, Deluxe and All Meat, along with a variety of salads with croutons made daily. Customers can also choose from wholesome subs on Italian white bread, hearth baked for authentic European flavor, along with creations like the Meatball Bake, Chicken Dippers and CheezyBread. With carryout, delivery, dine-in and online ordering services, Marco’s offers the convenience of picking up a quick meal or the enjoyment of sitting down at a genuine, family-style restaurant. Averaging at least one store opening every third day, Marco’s Pizza has more than 900 stores and aims to reach over 1,000 locations by early 2019. Its commitment to its people and the communities it serves has been a key ingredient to its long-term success. For more information about the Marco’s Pizza location opening in Morristown, please visit www.marcos.com.